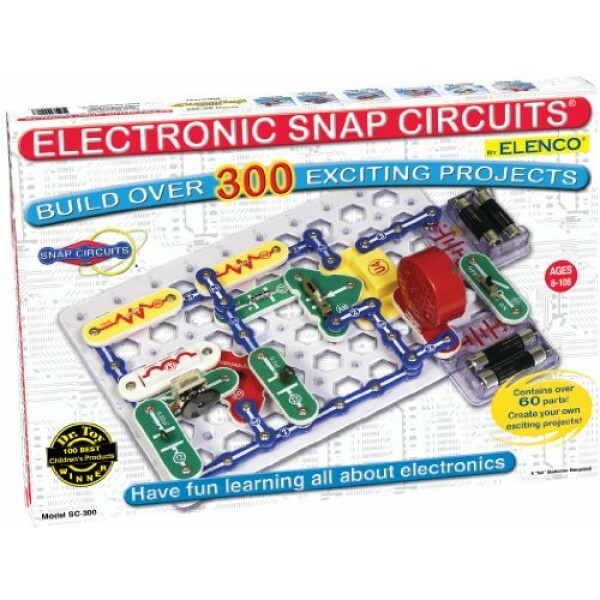 Give your child an exciting, hands-on introduction to electronics with Elenco Electronics Snap Circuits SC-300. This kit contains over 60 color-coded, real circuit components that snap together to create working electronic circuits and devices. 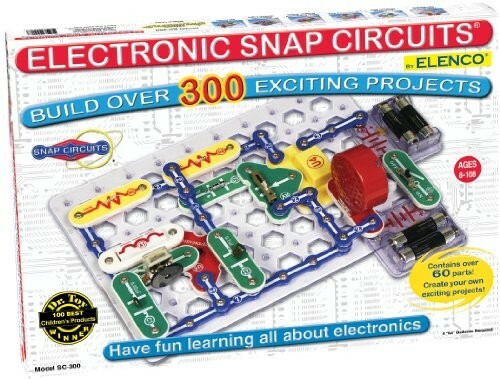 Snap Circuits comes with over 60 pieces to create 305 different electronic projects. The pieces, which include snap wires, a slide switch, a resistor, a microphone, and capacitors, snap together easily onto the included plastic grid — no soldering required. Each piece is numbered and color-coded to make identifying them easy. These components combine to create working circuit boards just like the ones found inside televisions, radios, and other electronic devices.